Well after converting my lovely friend Martina 🙂 into a fellow SCAL addict lol lol (….think of all the money you can save on carts now matie….more for scrappy supplies) I’ve spent most of the weekend creating files and not a whole lot of scrapping, oh and having to teach Keely a lil bit of scrapbooking today also, as I had promised and promised and hadn’t delivered, so was work work work all day today….. I had made a lovely Ariel Mermaid pattern for a friend’s daughter last night, so decided to do a test cut and voila…. couldn’t help myself, I just had to do a layout 🙂 Oh the joy of scrapbooking….sanity restorer!!!!! 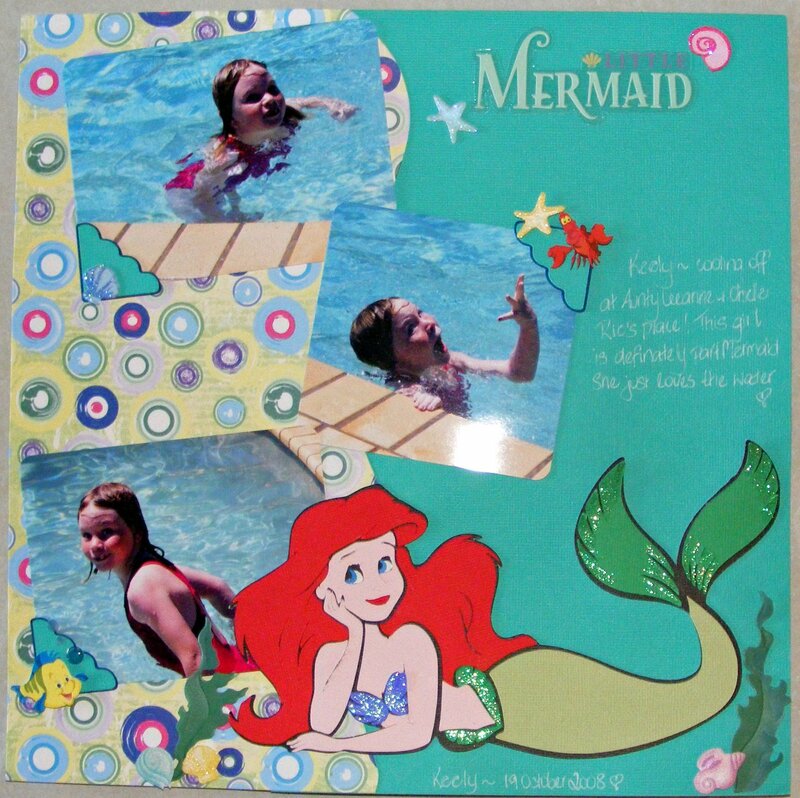 This entry was posted on February 8, 2009 at 8:12 am and is filed under Ariel Mermaid SVG. You can follow any responses to this entry through the RSS 2.0 feed. You can leave a response, or trackback from your own site.